Christian Science was discovered in 1866 by Mary Baker Eddy. She recognized that Christ Jesus' method of healing wasn't a personal power or secret knowledge, but a spiritual practice of prayer that has always existed and is available to all. The authority for Christian Science is found in the Bible, and it's full explanation is detailed in Eddy's book Science and Health with Key to the Scriptures. Everything Eddy teaches in Science and Health resulted from her personal research and experience as a Christian healer. 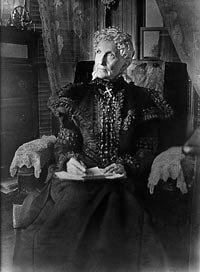 For 44 years Mary Baker Eddy developed and explained her discovery, training thousands of others to practice the method. Through her writings, and through the church and educational system she founded to carry on her work, practitioners and teachers of Christian Science worldwide are prepared to help and heal others. I am a practitioner and authorized teacher of Christian Science. How does Christian Science prayer heal? Christ Jesus said, "You must be perfect as your Father in heaven is perfect" (Matthew 5:48 God's Word). Christian Science discoverer Mary Baker Eddy described Christ Jesus' prayers as "deep and conscientious protests of Truth - of man's likeness to God, and of man's unity with Truth and Love" (Science and Health with Key to the Scriptures, Eddy, p.12). Jesus’ theology of the perfection and spirituality of man as the likeness to perfect Spirit who is God, and of man as inseparable from Truth and Love, heals. Health is the outward evidence of an inner, unchangeable truth. Christian Science prayer sets out to reveal that truth in the experience of the patient. Prayer in Christian Science doesn’t change reality. It involves a thorough examination of the divine Truth that is God, of God’s omnipresence, revealing the sole reality and permanence of health in God’s creation. Christian Science prayer involves becoming aware of, tuning in to, God’s universal harmony and bringing out that harmony is thought and action. When prayer reveals what we already are as God's image and likeness - spiritual, healthy, happy and good - it becomes possible to cleanse thought and life of the false stimulus of fear and its negative consequences on the body. It is Christ that does it all, not the personal power or influence of the healer. Christ is the power of God expressed in a spiritual understanding of God, and of man as God's image and likeness. Jesus healed through Christ - through his spiritual understanding of His Father and our Father - the one universal God that is Truth and Love. Through the powerful influence of this understanding - this healing Christ - Christian Science prayer produces a shift in thought and experience. On the phone or in person, we discuss God’s power to heal and transform through Christ. 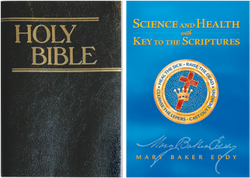 We think together about relevant ideas from the Bible and Science and Health with Key to the Scriptures by Mary Baker Eddy. I pray for the person upon request. Silent prayer helps one to experience the healing effect of the Christ. There is no laying on of hands, no physical or mental manipulation. No religious dogma controls or influences the one being prayed for. I am not a guru. The safety, well-being, and progress of the person is always the first consideration and the top priority in Christian Science practice. What if I don't live near your office in Paris? A practitioner's physical presence is not required for healing. In fact, the actual healer is the Christ, experienced in prayer, and not the person praying. The divine Mind, or healing Christ, is the omnipresent divine Principle. Like the principle of mathematics, the Principle of Christ, or divine Truth, is not arbitrary, but applies and responds to every human circumstance. This means that the solutions to your problems are already present with you. Prayer in Christian Science can make those solutions accessible. Introductory consultations are free. See Rates and Payment Options for a full explanation of fees. You can call or send an email. All communication is strictly confidential. I work with those from any background, culture and faith, upon their request.